Like shopping? You won’t be disappointed. 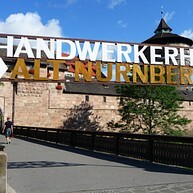 Nuremberg has everything you’d expect from a modern city. 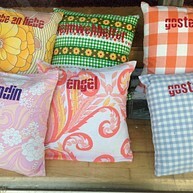 The Hauptmarkt and streets leading to the castle are littered with scores of souvenir shops. But there are also a large number of small speciality shops, of the Nuremberg master traders, jewellers and antique shops too, where you’ll find all kinds of souvenirs and keepsakes for your friends and family. The tourist information centre on the Hauptmarkt is also worth checking out. Breite Gasse and Karolinenstraße are the heart of the Nuremberg shopping district. Here, you’ll find all sorts of established shops and large department stores. Younger shoppers are also catered for, thanks to well-known chains such as H&M, Görtz, Mango to name but a few. Head to the Trödelmarkt, situated between the Unschlittplatz and Karlsbrücke, for wonderful jewellers, small boutiques and shops selling quirky living accessories. The Handwerkerhof is a must if you’re into ceramic, leather or silverware. 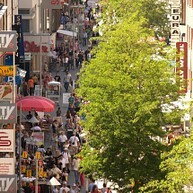 Kaiserstraße is slightly more high-end, as it’s home to a number of exclusive shops, boutiques and cafes. City Point enjoys a great location in the city centre. With around 60 shops, catering outlets, pharmacies and supermarkets, it has an attractive and extensive range of retailers and is a great place to meet in the pedestrian area. The ultimate shopping centre in the north of the city houses a wide range of fabric, electrical and everyday shops. A number of events and cultural activities take place here throughout the year too. The Franken-Center, situated in the city’s southern Langwasser district, is the largest shopping centre in northern Bavaria. With a variety of promotions, exhibitions and events, it draws more than a million people through its doors each year.